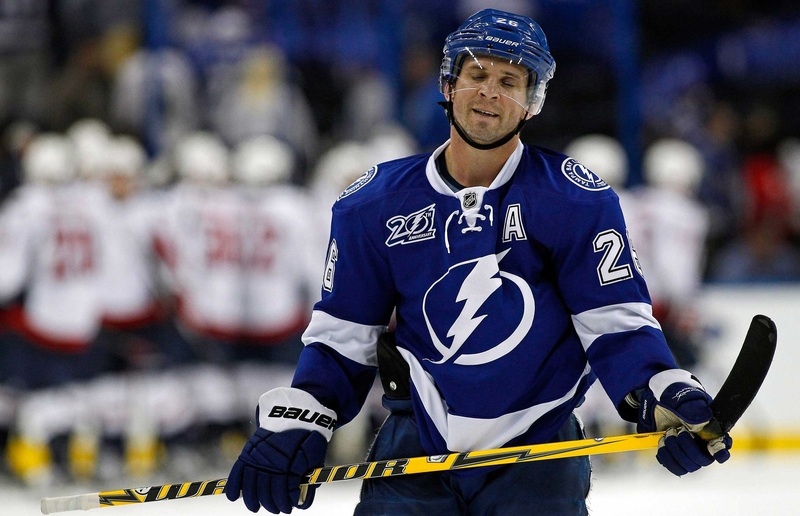 Martin St. Louis was traded to the New York Rangers in exchange for forward Ryan Callahan, a 2015 1st-round pick, and two conditional picks. As usual, there is a blizzard of activity in the NHL’s trade deadline week. The St. Louis Blues made a big splash by acquiring goaltender Ryan Miller from the Buffalo Sabres, thus opening the floodgates of goalie movement. Hours before the upcoming deadline, the Tampa Bay Lightning traded star forward Martin St. Louis to the New York Rangers in exchange for forward Ryan Callahan, a 2015 1st-round selection, a 2014 2nd-round selection (conditional) and a 2015 7th-round selection (conditional). St. Louis is one of the best wingers in the NHL, possessing excellent skating and play-making ability. St. Louis was the Lightning’s leading scorer this season with 61 points in 62 games, despite missing teammate Steven Stamkos for most of the season with a broken leg (Stamkos is cleared to return Thursday). Without a doubt, St. Louis will be on the Rangers’ top line and power play unit. St. Louis brings more pure offensive skill to the Rangers lineup than Callahan and should be a boon to their power play. It would be no surprise to see Callahan on the Lightning’s top line, playing right wing alongside superstar center Stamkos. Playing alongside Stamkos should give Callahan ample opportunity to pad his statistics and land a big payday. Callahan will be an unrestricted free agent this summer. In an open market, Callahan could conceivably command as much as $5 million per season. Although the Callahan/St. Louis exchange is the biggest deadline day deal at this time, there is still time for other movements to occur. Goaltender Jaroslav Halak – traded from the Blues in the Ryan Miller deal – could be traded again today. It is believed that the Sabres have no interest in keeping Halak, with plans to make Jhonas Enroth the full-time starter. The Minnesota Wild may be interested in Halak, as Josh Harding is out indefinitely due to an ongoing battle with MS and Niklas Backstrom’s performance has not been satisfactory. The Wild did acquire Ilya Bryzgalov recently; however, they may conceivably want Halak as insurance in goal. Other big names yet to be moved include Thomas Vanek (New York Islanders) and Ryan Kesler (Vancouver Canucks). Earlier this season, the Islanders acquired Vanek from the Sabres in exchange for forward Matt Moulson and draft picks. With franchise player John Tavares out for the season, the Islanders’ playoff hopes took a big hit and will likely move Vanek (UFA this summer) today. There has reportedly been a lot of interest in Kesler this week, with the Philadelphia Flyers and Pittsburgh Penguins both pursuing him. Kesler is an excellent two-way center who would improve any playoff team’s chances of winning the Stanley Cup. Kesler would most likely be willing to waive his no-trade clause to land with the Penguins. According to Rob Rossi of the Pittsburgh Tribune-Review, the Penguins apparently were willing to offer forward Brandon Sutter, several draft picks, and the Canucks’ choice of two defensemen: Simon Despres or Brian Dumoulin. Recently, Rossi stated that the Penguins may be willing to offer their top prospect, Derrick Pouliot. With less than an hour in the looming trade deadline, NHL fans eagerly await for more moves. Kesler and Vanek are expected to be traded, and Halak may be traded again as well. Could the Florida Panthers surprise everybody and make a big move for Vanek? The acquisition of goaltender Roberto Luongo and re-signing of forward Brad Boyes indicate they may be serious about attempting to build a winning team. * The Los Angeles Kings acquired forward Marian Gaborik from the Columbus Blue Jackets in exchange for forward Matt Frattin, a 2nd-round pick and a conditional 3rd-round pick. The oft-injured Gaborik has one of the best wrist shots in the game and should increase the Kings’ scoring. * The Ottawa Senators acquired forward Ales Hemsky from the Edmonton Oilers in exchange for a 2014 5th-round pick and a 2015 3rd-round pick. This deal is a salary dump for the Oilers, who possess a plethora of young offensive talent. This deal does nothing to improve the Senators’ woeful defense; however, Hemsky’s offensive ability may be used as an effort to offset their defensive ineptness. * The Pittsburgh Penguins acquired forward Marcel Goc from the Florida Panthers in exchange for a 2014 5th-round pick and a 2015 3rd-round pick. Goc is an excellent defensive center whose acquisition could possibly mean the Penguins may be dropping out of the hunt for Kesler. * The Pittsburgh Penguins acquired forward Lee Stempniak from the Calgary Flames in exchange for a 2014 3rd-round pick. Stempniak will most likely play on Sidney Crosby’s line as the replacement for the injured Pascal Dupuis. * The Florida Panthers traded goaltender Tim Thomas to the Dallas Stars in exchange for goaltender Dan Ellis. With Lehtonen and Thomas, the Stars should have quite the 1-2 punch in goal. * The Columbus Blue Jackets acquired defenseman Nick Schultz from the Edmonton Oilers in exchange for a 5th-round pick. * The New Jersey Devils traded forward Andrei Loktionov and a 2017 3rd-round pick (conditional) to the Carolina Hurricanes for forward Tuomo Ruutu. Ruutu is a skilled physical winger who brings more grit to the Devils’ lineup. * The Montreal Canadiens acquired goaltender Devan Dubnyk from the Nashville Predators in exchange for future considerations. The acquisition of Dubnyk may cause speculation that goaltender Carey Price’s injuries are more serious than initially thought. * The Montreal Canadiens acquired forward Thomas Vanek and a 2014 5th-round pick (conditional) from the New York Islanders in exchange for forward Sebastien Collberg and a 2014 2nd-round pick (conditional). Vanek should greatly improve the Canadiens’ offense on the top line. Vanek will be an unrestricted free agent this summer, but the Canadiens did not give up any significant value in this deal. * The Colorado Avalanche acquired goaltender Reto Berra from the Calgary Flames in exchange for a 2014 2nd-round pick. With Semyon Varlamov and Jean-Sebastian Giguere in goal for the Avalanche, this seems to be nothing more than an insurance move in goal for the Avalanche. * The Detroit Red Wings acquired forward David Legwand from the Nashville Predators in exchange for forward Patrick Eaves, forward Calle Jarnkrok and a 2014 3rd-round pick. Legwand was the first draft pick in Predators history and is a speedy two-way center. * The New York Rangers acquired defenseman Raphael Diaz from the Vancouver Canucks in exchange for a 2015 5th-round pick. A good addition to the Rangers’ blue line. * Washington Capitals acquired goaltender Jaroslav Halak and a 2015 3rd-round pick (conditional) from the Buffalo Sabres in exchange for goaltender Michal Neuvirth and defenseman Rostislav Klesla. Acquiring Halak as insurance in goal for the Capitals makes sense; however, if they have plans to start him over Holtby, this could rattle the young goaltender’s confidence and development. Halak will be an unrestricted free agent this summer. The Sabres made a solid trade here in acquiring Klesla to improve their defense and acquiring a solid young backup goaltender in Neuvirth. I’m going back to Florida? One day prior to the NHL trade deadline, goalie trades continued to dominate the hockey headlines. Things started to move when Buffalo and St. Louis swapped Ryan Miller and Jaroslav Halak this past Saturday and continued today with four goalies changing locations. Veteran Roberto Luongo returned to the Florida Panthers for goalie prospect Jacob Markstrom and winger Shawn Matthias. After playing his rookie season for the New York Islanders, Luongo was dealt to the Panthers where he played from 2000-2001 season through 2005-2006. 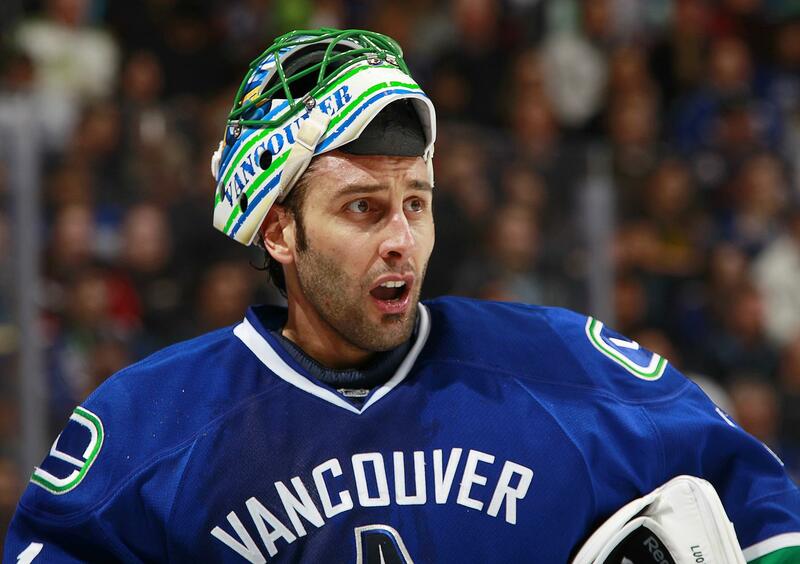 The soon-to-be 35-year old spent the last eight years wearing a Canucks sweater and was the number one goalie for Team Canada when they captured the gold medal at the 2010 Olympics in Vancouver. The Panthers had put goalie Scott Clemmensen on waivers earlier in the day. With Nicklas Backstrom not performing to par and Josh Harding on injured reserve indefinitely due to his on-going Multiple Sclerosis condition, the Minnesota Wild acquired Ilya Bryzgalov from the Edmondton Oilers for a fourth round draft choice. Rumors had the Wild going after the New Jersey Devils’ Martin Brodeur, but the cost for Bryzgalov was certainly less than what a Brodeur deal would have cost them. The Oilers replaced Bryzgalov with the Anaheim Ducks’ Viktor Fasth. The Ducks received a fifth round pick this year and a third rounder next year. Frederik Andersen should now be the full-time back up to Jonas Hiller in Anaheim. The Ducks also sent winger Dustin Penner to the Washington Capitals for a fourth round pick. The pick was then used to get defenseman Stephane Robidas from the Dallas Stars. The Islanders sent defenseman Andrew McDonald to the rival Philadelphia Flyers for a pair of draft choices. The Canucks and Ottawa Senators swapped youngsters Patrick Mullen and Jeff Costello. Panthers defenseman Mike Weaver was sent north to the Montreal Canadiens for a draft pick. Speculation that the Islanders’ Tomas Vanek will be moved looked more certain after he was a healthy scratch in tonight’s contest. The Chicago Blackhawks have picked up one time highly touted forward David Rundland from the Phoenix Coyotes for a second round draft pick. The Carolina Hurricanes were rumored to be willing to deal any of their three goalies – veteran Cam Ward and youngsters Anton Khudobin, and Justin Peters. Khudobin was given a two year extension Tuesday afternoon so it is more likely that Ward will be moved. 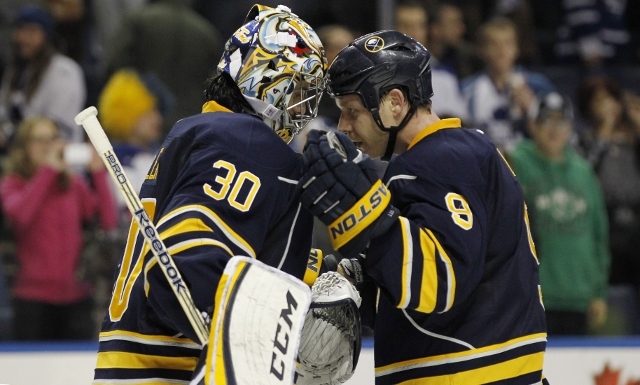 The Buffalo Sabres decided to pull the trigger on a Ryan Miller deal, five days prior to the NHL trade deadline. The Sabres lifer was sent to the St. Louis Blues Friday along with captain Steve Ott for goalie Jaroslav Halak, winger Chris Stewart, prospect William Carrier, a first round pick next year, and a conditional third round pick in 2016. It was an emotional day for Miller, who went from the cellar dwelling Sabres to the Central division leading Blues (tied with the Blackhawks with 84 points, but St. Louis has two games in hand.) to become their #1 goalie. He’ll be backed up by veteran Brian Elliott. Miller is atop or in the top three of the majority of the Sabres goalie records and first donned the Sabres uniform for 15 games during the 2002-2003 season. The Blues haven’t been back to the finals since, but with players like David Backes, T.J. Oshie, Alexander Steen, and Kevin Shattenkirk, the addition of Miller makes St. Louis a serious threat in the Western Conference. The deal also raises Miller’s fantasy value since his goal against average will be reduced and his wins will increase. Ott’s hard nosed play and versatility to play in a scoring or defensive role in all three forward positions will be a very good asset as well. Will Halak stay or go from Buffalo? Good question of which there is no answer yet. With Enroth already moved to #1 with Miller gone, Halak could be traded again before Wednesday’s deadline.